YGlocal » innovation that matters. Open source wearable art could be where fashion is going. With some gyroscope, OLED, heat sensing and blue tooth capability modules, what is wanted to combine to clothe becomes up to the developer or maker. The quest to understand the stars. WIth astrophotography time lapse techniques, these nighttime shots of the sky can become a reality. Star trails for all. What will encompass your shared outlook of our friendly neighbors? From creating memories, to new found happiness, drawing is an act that can be done with minimal cost and is as portable as an electronic device. Not to mention, it could be the beginning of a new relationship with art development. Innova Schools, the home of first world blended learning and design ideas are being adapted in Peru. Students at this IDEO designed school achieved 61% proficiency in math and 86% in literacy. The creative freedom of profits is real world education. Going slow, while curious could be the method of beginning to understand what technology really is, especially for teachers. In being the people that have to adjust to becoming afraid of what is next, it’s get tech, or get lost. People are dropping out of MOOCs because of a lack of credit, and there has been limited evolution in this form of technological ed since the 1990s. However, APIs and open developer platforms are giving light to improved processes. It can be hard to digest, but passion doesn’t get startups off the ground. Knowing that supporters aren’t buyers, the entrepreneur isn’t different from the next and getting 1% of the market can be a drop in the bucket, could lead to solving a problem, not an ego. The Internet of Things, is almost everywhere, but not yet. Making it clear that a project has worked can be the biggest challenge and the consolidation of standards and industries will mean that this method can then burgeon to realised growth. A $500 search ‘do engine’ made at a school hackathon of self taught students, Gevva, could take on Google. Can a new tech creation that unifies popular functions within the engine fill in the gaps of the pains on the Internet do just that? Are Africa’s local economies mature enough for all of the incubators popping up? Hubs are pivoting to become less lofty in their aspirations. Training, mentorship with the hope of being a collaborative meeting space could be further in line with market demands. Enthusiasm is what separates the Bulgarian and Serbian scene from others. With no institutional capital it makes it difficult to raise money for startups. But accelerator Eleven, is turning misconceptions to that of full optimism. What can be done, if you can’t get a space in an incubator, or after the completion of the program no investors? Crowdfund your dream. Indiegogo makes this possible with a solid approach to connecting funders with soon to be startup champions. The digital natives myth of today, that the young have market power in achieving the shape of IT of tomorrow is being diluted. Children do not build the apps being used that older people create. Hype or not, who is really the tech inventor? Is it too late to start in your thirties? Hardly, at 35, the correlation between age and success becomes less relevant and the typical, best known companies in the world are born. The barriers that people create is what hinders this timeline. Digital delivery by L&D departments are going through a rigorous self assessment process to help evaluate their courses. RAPTA, quality, self review and mature benchmarks are making practitioners optimize edtech for the better. The call for nominations of the recognition awards for coffee workers is a great way to bring acclaim to those that serve up this pastime drink. What makes a great barista or bean leader? With some sparkle, new beginnings in passed up industries can thrive. What to do if you have a passion for a cause? Become a credible activist of course. But, how to be viewed, what to value and embrace are the issues with this profession. With some engagement, there is a place for this role in the community at large. Remote workers are becoming gap completers with the world wide shortage for qualified STEM skill based positions. But the increase in tech development is also creating jobs that no one can do because of their complexity. Who will get the remaining jobs? 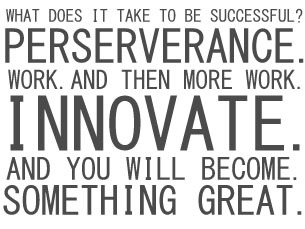 YGlocal is a hatchery for innovation. 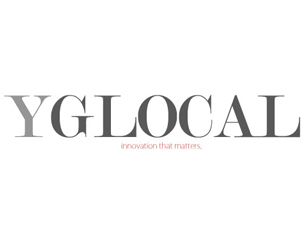 Inspired by upstarts in Silicon Valley and leading in the tradition of America to create new offerings international and domestic, YGlocal relates the current news in startups, incubators, jobs, training, schools, and contemporary art to the world. Post comments and submit stories—engage, converse, create. 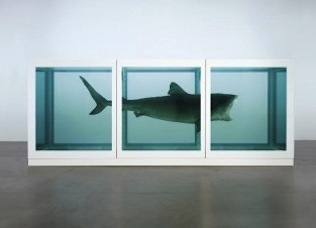 “Hirst offers himself a shark ‘large enough to swallow a man’ for 6000 pounds, and the total price of his work amounts to 50,000 pounds. The tabloids of the moment say some funny things, such as ‘50,000 GBP for a fish without chips’.” Read the full article here from Jeanne Poret. Copyright © 2011-19 by Ydigitalproperties, unless otherwise noted. All rights reserved.